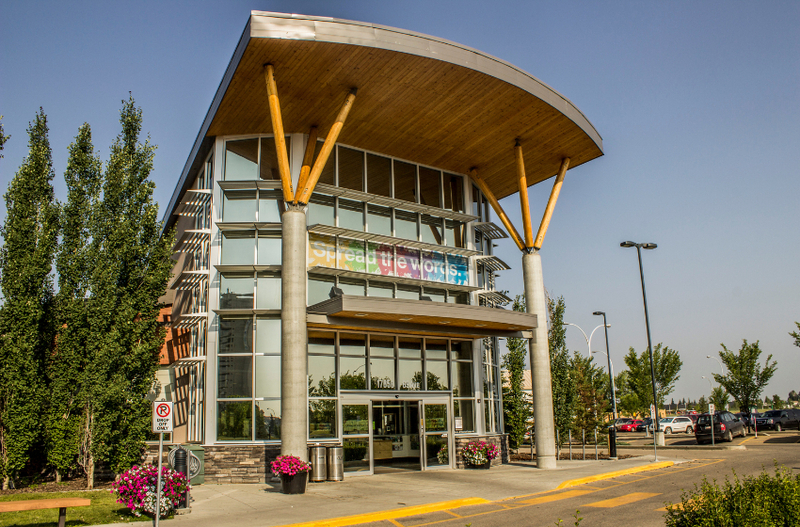 Most branches at the Edmonton Public Library are pretty easy to identify: just look at what neighbourhood the branch resides in and you can be pretty sure of its name. But there are a few that aren’t so straightforward. These are, of course, branches that bear the names of people. Why, you might wonder, does EPL choose to name a branch after someone? What does it mean? On rare occasions, EPL locations are named to “recognize exceptional support, contribution and advocacy for the Edmonton Public Library and/or for library services and values,” as per EPL Board Policy B-2013opens a new window. While financial contributions to EPL can be considered part of the overall support, we don’t name branches based on donations. Interior library rooms or spaces, however, may be named based on donor support—such as the Shelley Milner Children’s Library. When you think branch names, this one is sure to be top of mind. As EPL’s downtown main branch (and our largest location), the Milner Library is hard to miss—especially as renovations progress on the multi-year revitalization. But Milner was (and still is) the name of a man before it was the moniker of a library. A strong library supporter to this day, Stanley A. Milner led the push for a new library to mark the Canadian Centennial in 1967. 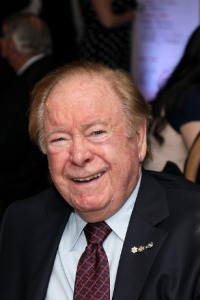 Science degree from the University of Alberta in hand, Milner went into oil and gas, where he founded a successful company. His friend, Elmer Roper, a man who later became Mayor of Edmonton, convinced him to run for City Council and later join the board of the Library. He even made an (unsuccessful) run at the Mayor’s seat. As Chair of the EPL Board in 1963, Milner sought to follow the lead of philanthropist Andrew Carnegie, who provided the grant to build then downtown library branch Central Library, and started making a case for a new downtown library to celebrate the Centennial. The City wanted to knock down the Carnegie-funded library, but as Chair of the Library Board, Milner refused to sign over the land until the City agreed to use the proceeds to build a new library—a deal they eventually agreed to. The new branch was originally called the Centennial Library when it opened in 1967. It was renamed Stanley A. Milner Library in a ceremony on August 22, 1996 to recognize his extraordinary contributions to EPL. 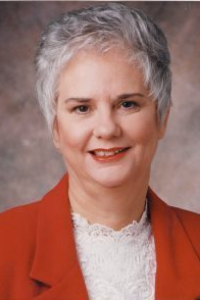 Penny McKee came to Edmonton from Ontario and was named Director of EPL in 1990. She quickly set about the work of redefining the library and preparing for its future while also defending readers’ interests and calling for sustainable funding. McKee was the Library’s seventh director. During her time in the role, she spearheaded the Library’s first capital fundraising, known as Foundations of Learning, in order to build three new branches. She retired in 1996 and died in 1997. When a branch was opened to meet the needs of the growing neighbourhood of Abbottsfield in September of that same year, EPL decided to name it in her honour. It was the second of the three branches that had been fundraised through her campaign. 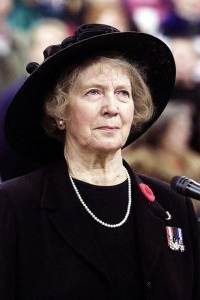 Lois Hole served as the 15th Lieutenant Governor of Albertaopens a new window from 2000 until her death on January 6, 2005. A successful businesswoman, bestselling author, education advocate and community supporter, she was the second woman in the province’s history to hold this position. Hole was a passionate champion of public libraries, so when EPL opened a new branch in Callingwood in September 2008, the Library decided to name it after her. As an avid gardener and the author of no fewer than six books on the subject, she has also been recognized with a reading garden and a sculpture by Danek Mozdzenski, both located at the branch named after her. Hole was also an environmentalist, so it seems only fitting that the branch that bears her name was one of the first EPL branches to be LEED certified for energy efficiency. A Library within a Library? While it’s not an EPL Branch, Shelley Milner’s name does grace the children’s library in our Stanley A. Milner Library. Shelley was Stanley’s daughter. A generous donation from her father fully funded the children’s library at EPL’s downtown branch. Later, in 2010, he made another donation that allowed the space to be drastically renovated and expanded. 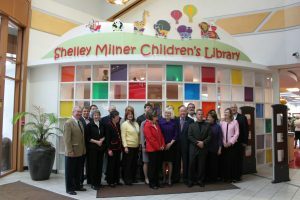 The children’s library was named after Stanley’s late daughter, Shelley Milner, that same year, with a dedication taking place on May 4, 2010. The Milner Library is currently undergoing construction in a multi-year revitalization project. When it’s completed in 2020, the children’s library will be three times the sizeopens a new window of the previous space. Visit any of our 21 branches around Edmonton and use your FREE EPL card to check out books, play with the latest technology in the Makerspace and more!